For Rotam, a new generation of R & D begins as soon as a molecule falls into the public domain; we focus our Research & Development by considering all the elements of a molecule. We innovate in formulations, molecule combinations, and packaging (see the Protect Dosage system). Our Research Center in Kunshan drives our R & D and Technical Support departments, relying on a network of 6 other centers around the world (Europe, North America, Colombia, Brazil, and Argentina) with more than 240 scientists. 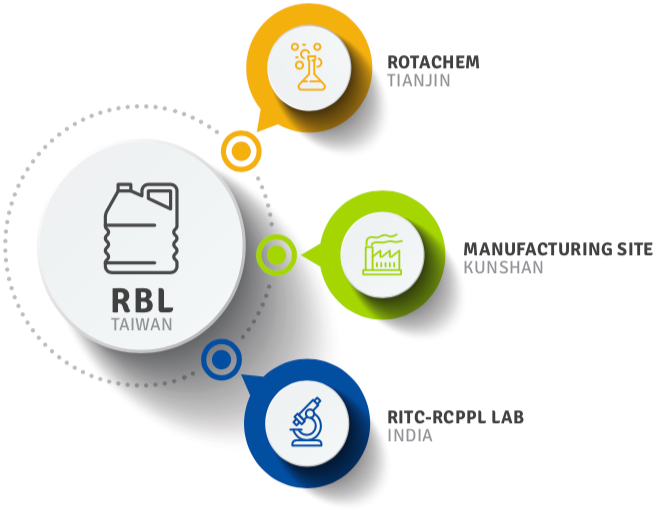 For customers, Rotam's market independence through its in-house R&D infrastructure provides the reassurance that it has participated from start to finish in the development of its own innovative product range. We use our regulatory expertise to independently register our own products. A dedicated regulatory team of experts with a thorough understanding of crop protection regulations works to create a clearly structured plan for taking actives from patent expiry to market launch. This is backed up by an intellectual property network of specialists involved in the protection of Rotam's unique portfolio of products. Fundamentally, this translates into Rotam possessing a high degree of independent in-house expertise. With the in-house German-certified GLP laboratory, data can be produced internally rather than rely on third-party suppliers. It brings significant cost savings and ensures timely quality data generation. It is also highly beneficial in providing a full understanding of a product and its chemistry. Our production hub is equipped with advanced facilities operating at the highest environmental standards. Rotam incorporates modern technology and improves solutions focused on meeting growers’ needs.